Today was my LONG AWAITED HAIRCUT! You guys. I love it. I am just so thrilled to actually have normal person hair, and not dirty hippie hair. It's blow dried straight at the moment (!) but I can't wait to see how it look when I wash it and dye it and curl it up in a couple of days. I view haircuts as an opportunity to make a fresh start, not just physically but mentally and spiritually as well, so not only do I feel lighter, literally, I also feel like I'm starting a new cycle. Given that my birthday is next Monday, it feels like the perfect time to do something like this. I know, maybe I'm attaching too much meaning to a simple haircut, but I've been having deep thoughts about the last year of my life today (finally!) and everything seems to have added significance right now. Thank goodness -- I was starting to feel like maybe my birthday meant nothing to me this year! Well, I've done my share of thinking this morning while listening to my "band of the year," Maximo Park, and "feeling all the feels." My 30th year was nothing like I expected, but that isn't a bad thing. It has been really beautiful and has had some really tough moments and unexpected crises. But overall, I've handled them with more finesse than I've ever handled rough times and crises in the past, which is why I feel good. I feel like I'm actually becoming an adult in some ways, even though "the heart remains a child" (thanks tracey & ben). Above all else, it has been a year of emotional vulnerability on a previously unknown level ... and having the courage to feel that vulnerability, and allow it to transform me. Trust me -- it's a very good thing. 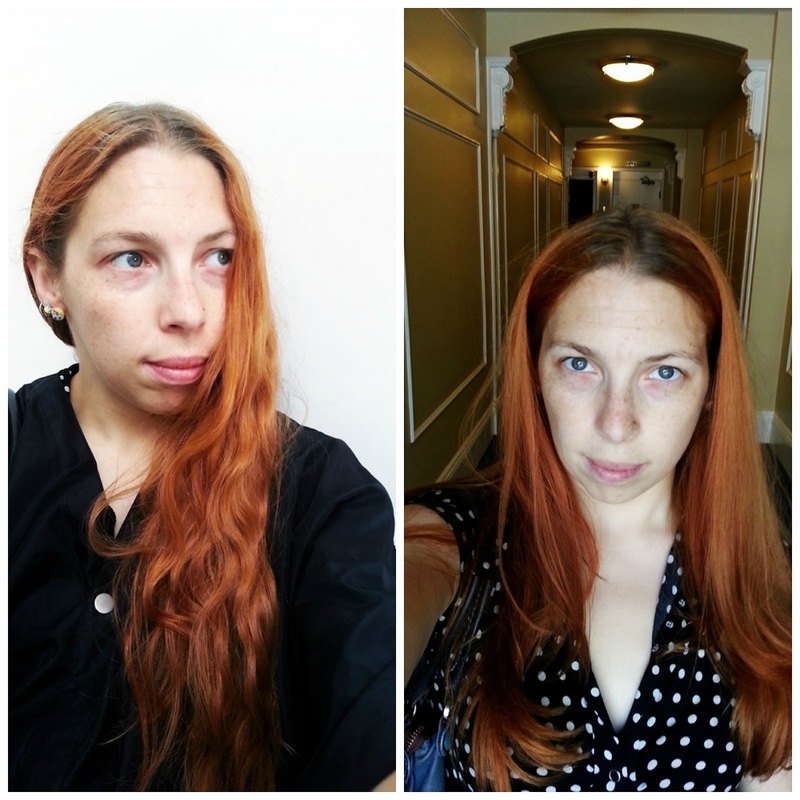 Anyway, here's the before & after of my hair today. Here's to a fresh start.